The rent at Merrimack Landing Apartments & Townhouses ranges from $710 for a one bedroom to a $1,130 one bedroom. Apartments in this building are about 3% less expensive than the Merrimac Park average. This is a pet-friendly apartment. This apartment is in the Merrimac Park neighborhood in Norfolk. Nearby parks include Northside Park and Captains Quarters Nature Center And Park. 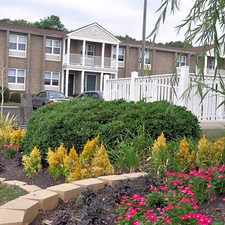 Merrimack Landing Apartments & Townhouses has a Walk Score of 20 out of 100. This location is a Car-Dependent neighborhood so almost all errands require a car. Enjoy the comforts of your own cozy cottage or townhome. At Merrimack Landing, the staff will show you our exemplary dedication. We are just outside of the Naval Air Station and minutes away from I-64, which makes the Hampton Roads area extremely accessible to all of your needs. Come see what our first-class staff can do for you at Merrimack Landing. BRAND NEW RENOVATED APARTMENTS AVAILABLE TODAY! Explore how far you can travel by car, bus, bike and foot from Merrimack Landing Apartments & Townhouses. Merrimack Landing Apartments & Townhouses has some transit which means a few nearby public transportation options. Merrimack Landing Apartments & Townhouses is in the Merrimac Park neighborhood. Merrimac Park is the 73rd most walkable neighborhood in Norfolk with a neighborhood Walk Score of 18.